Ladurée is synonymous with many things, glamour, prestige, authenticity, luxury, exclusivity, but above all responds to a genuine French philosophy or, more specifically still, genuinely Parisian. We refer to this “art de vivre” that was born in Paris in the late nineteenth century and is rapidly developing throughout the twentieth century. A philosophy that the best craftsmen in every trade, and with a glamour and luxury foundation, are connected to in a way that has transcended borders and has become a universal language that needs no introduction. Ladurée is also a cornerstone for understanding the current state of vanguard patisserie. In the distant 1871 they had the audacity to merge pastry with the classic Parisian cafe to get the first Salon de The, an idea largely driven by Jeanne Souchard, wife of founder Ernest Ladurée which was warmly welcomed by Parisian society of the time, especially by women of high society who could finally have a public meeting place in which to enjoy their favorite desserts as well. But today Ladurée is much more than a piece of modern history, more than a quaint museum with traditional sweets, it is a fully up-to-date pastry shop which deserves all the recognition due to the excellent level of all products, from the macaroons to their restaurant menus, with a full range of pastries, cakes and bonbons. 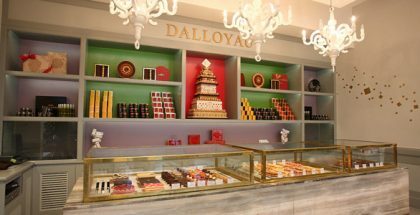 An impeccable reputation earned through its ability to present all their sweets with a range of colors and harmonic flavors, with which they have blazed the trail and reestablishing themselves as the undisputable point of reference of a certain style. Salon de The with Sistine Chapel included. 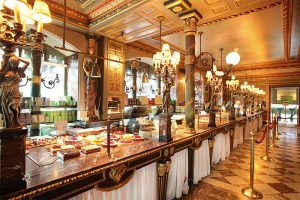 In the Quartier de la Madeleine, in a time of full business development, coinciding with the arrival of the great artisans of luxury, at number 16 on the Rue Royale, Louis Ernest Ladurée opened a bakery in 1862. Nine years later, the business suffers a fire from which he takes advantage of to turn it into a pastry shop and deeply reform the establishment by way of the famous painter and lithographer Jules Cheret, creator of many famous posters of that mythical Paris. 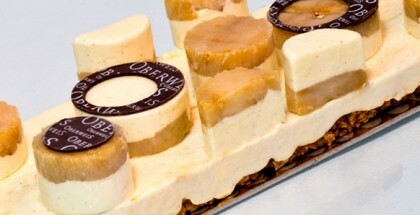 For the project, Cheret was inspired by the murals of the Sistine Chapel and the Opera Garnier, integrating them into his work in search of a depth whose landscape would be populated by the classic chubby angels, that this time would be characterized as “L’ange pâtissier” , now the stars of the corporate image of the bakery. These are the times of the second Napoleonic Empire, where literary circles and salons were slowly giving way to another culture where luxury and glamour are fused with special female presence. Ladurée did right with the opening of the tea room, a place that combines the atmosphere of a Parisian cafe with pastries and where women could meet in public with complete freedom. Already in the twentieth century, Pierre Desfontaines, the founder Louis Ernest Ladurée’s cousin had the idea of bringing two macaroons together placing a ganache-type filling inside. He comes up with the idea and from that distant time until today, the formula or the concept has hardly changed. To the maximum extent, as they like to explain in their newsletters, Ladurée’s pastry chefs mix almonds, egg whites and sugar until they obtain the right texture, with the exact cooking time and left to stand in due time, combined with fillings, colors and studied aromas. Seduction is made sweet. Round, soft yet crunchy, the famous macaroons from Ladurée have achieved glory and the recognition of experts and fans to become one of the benchmarks for this implied and disconcerting competition for making the best macaroons in France and the whole world, for which every good pastry artisan is proud of. Each change of season, Ladurée creates a new perfume inspired by some motif or subject often taken from the fashion runways. And then they move on to expand their already extensive collections of macaroons. It is a ceremony that emulates the Haute Couture season and that, far from the catwalks, captures its essence and glamour in the form of fleeting tastings. 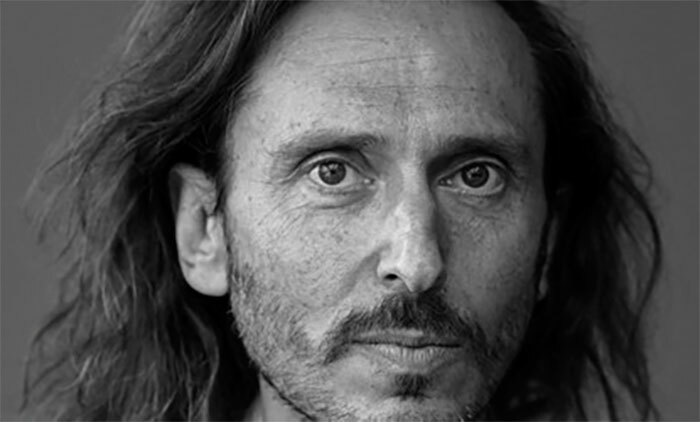 At 42, David Holder, vice president of Groupe Holder, along with his father Francis Holder, are the ones mainly responsible that Ladurée is in full form more than ever and that their establishment has long passed the municipality of Paris to extend itself throughout the world to cities including London, Tokyo or Dubai. In 1993 they bought the famous Rue Royale Ladurée, time after which they take the firm decision to carry the banner to the top of the national firmament. But the hand of the Holders would not stay there, their well-grounded principles in terms of aesthetics ignoring passing fads manage to create a style in the products collections, with twinkling stars such as Religieuse à la rose, the rose-framboise Saint Honoré or the millefeuille à la Réglisse. 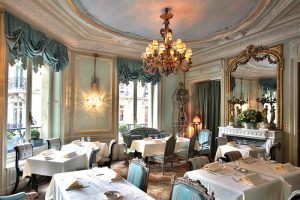 A production directed by chef Philippe Andrieu which would spread quickly through the rest of the French capital (Printemps Boulevard, Rue Bonaparte, Château Versailles) and abroad, with openings in London or Japan. Since 2013 it has seen arrivals in Singapore, Florence, Bucharest, Soho in New York (the first tea room restaurant), Miami, Bangkok, Brussels, Azerbaijan, Dubai, the Philippines, and Luxembourg. Currently, Ladurée is present on five continents, 27 countries, 85 shops, and 24 restaurants and tea rooms. At the head of Ladurée’s workshop is Claire Heitzler, one of France’s most outstanding pastry chefs and contributors to the magazine (so good #7, so good #12). She has learned the trade from greats like Thierry Mulhaupt, Michel Troisgros, and Alain Ducasse, and has worked in prestigious institutions in Tokyo and Dubai until returning to her native country to serve as pastry chef at the Hotel Ritz and the restaurant Lasserre in Paris. Additionally, she was chosen “Pastry chef of the year” by Le Chef magazine in 2012 and by the Gault & Millau guide in 2013, and in 2014 Relais Desserts awarded her the Excellence Award. Claire’s talent, as the own Maison explains, lies in revisiting classics such as the religieuse, the millefeuille, and the lemon meringue tart – giving them an unexpected twist while still maintaining a perfect flavor balance. The goal is to create harmony between sweet and savory, with just a touch of sharpness. Claire Heitzler also works with more traditional flavors, such as chocolate, rose, and vanilla, ensuring her pastries appeal to all tastes. Before her there have been many professionals who have successfully held the position. Among them are two names that have appeared in the pages of our magazine: Yann Menguy (so good #14) and Vincent Lemains (so good # 6).